Can a film about a cemetery be uplifting? In the hands of documentarian Aoife Kelleher, it can be. One Million Dubliners in an absorbing look at Glasnevin Cemetery, Ireland’s largest multi-denominational graveyard. 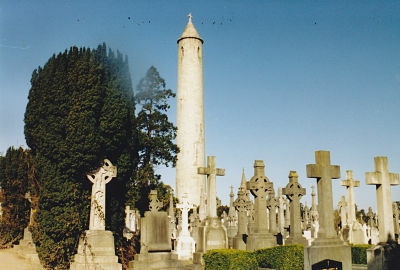 Built in 1832, the cemetery has laid to rest over 1.5 million souls including a host of famous Irish historical and artistic figures such as Daniel O’Connell and Michael Collins. This beautifully shot documentary provides a guided tour through the headstones and monuments, celebrating life and dealing with questions about death by exploring the individual stories of ritual, love, loss, redemption, emotion and history that come together in this solemn place. It examines not only the cemetery’s fascination among tourists but the business side of dealing in death including how, during an economic downturn, the managers solicited note-worthy names to be interred to garner more awareness and revenue. Throughout the feature, Kelleher wisely highlights the insights of Shane MacThomas, a resident historian and tour guide whose cheerful, humorous personality and heartfelt stories elevate the occasional somber moods. One Million Dubliners is a respectful tribute not only to those entombed at the historic site but to their loved ones, as well as the cemetery’s staff who continue to keep the memory of the dead alive. 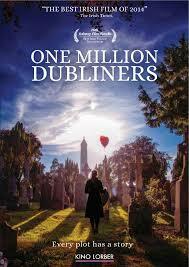 “Every plot has a story,” the film’s tag line reads, and One Million Dubliners has over a million of them. It must be noted that many of the Irish accents are quite thick and subtitle or closed caption options would have helped, but unfortunately there are none. Bonus features include a series of short vignettes including introductions to historical figures O’Connell and Collins, aerial photography of the cemetery, an oration re-enacted at the graveside of O’Donovan Rossa, and advertisements for the cemetery’s museum and on-site tours.